You never need to roll your patient or raise their leg when applying traction with The Kendrick Traction Device™ (KTD™). Unlike other traction devices, only the KTD™ allows you to work around any hip or groin trauma. There is NO uncomfortable ischial bar to deal with, so any concerns of your causing unnecessary pressure and additional pain are not an issue. 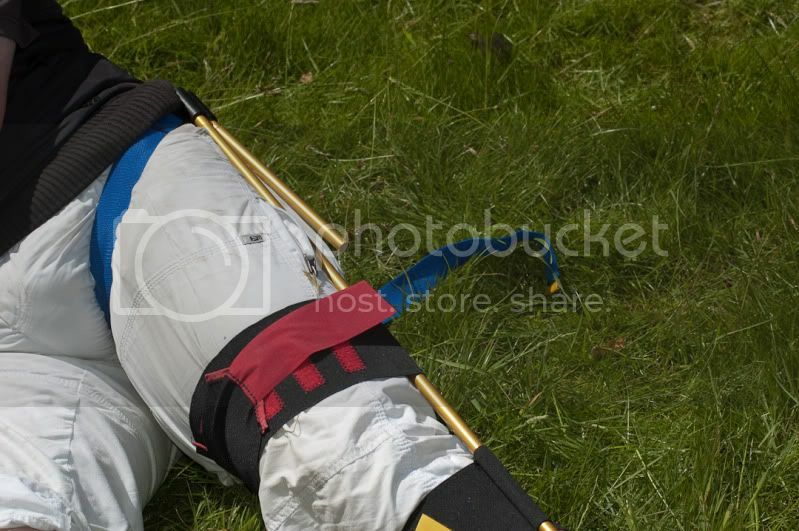 Popular anti-shock pants can be quickly and easily applied over the KTD™. One person can properly apply the KTD™ in less than 2 minutes! The traction pole instantly adjusts for adult, child or pediatric use. I have taught several first aid courses for BCUK. 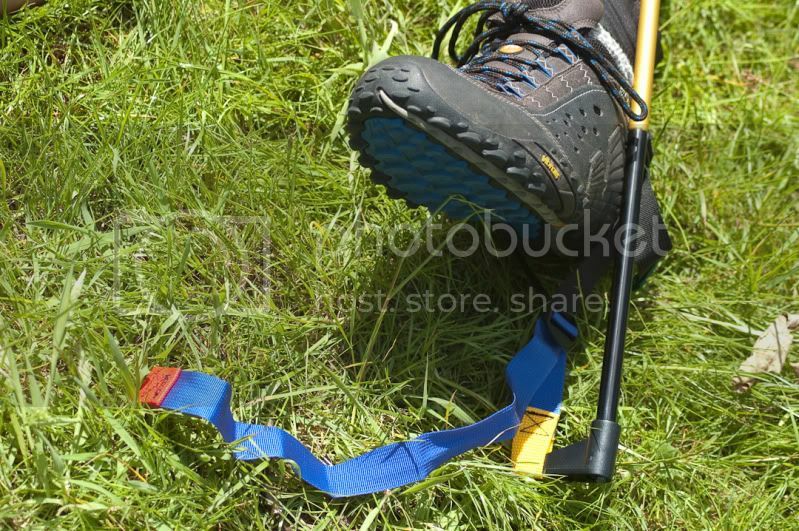 When it comes to fractures we look at improvised traction devices. Making an acceptable split and traction device from the materials to hand requires practice and some ingenuity in ideal conditions. When conditions are marginal and you have an emergency to deal with the creative juices tend to dry up. 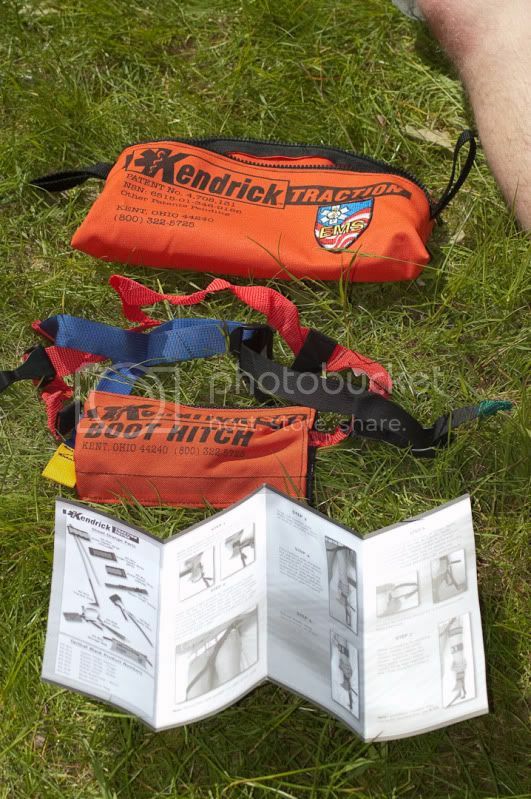 For the purpose of the review I gave the KTD to a client to treat a casualty with a broken femur. He had never seen a KTD before and so would had to totally rely on the instructions supplied with the device.I was introduced to the KTD a number of years ago on a course. Once I had a little training I found it quite simple to use. 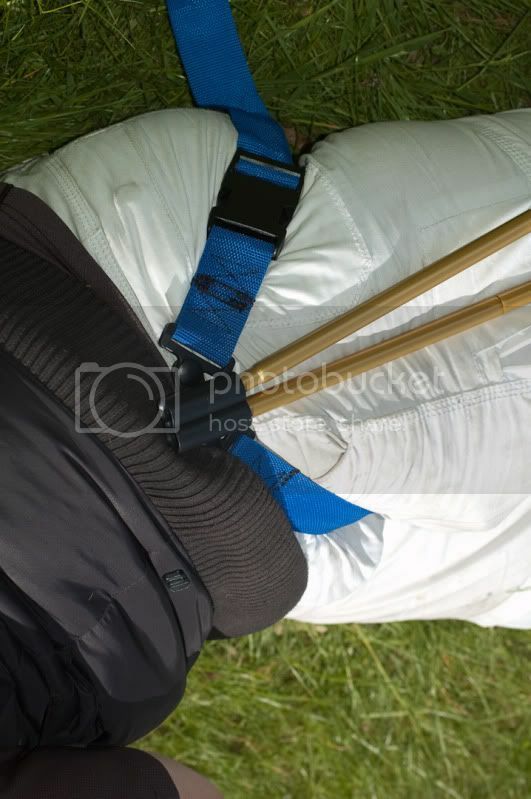 The Kit consists of a number of straps and a shock corded Aluminium pole. The sections of pole allow the length to be adjusted to suit the casualty. 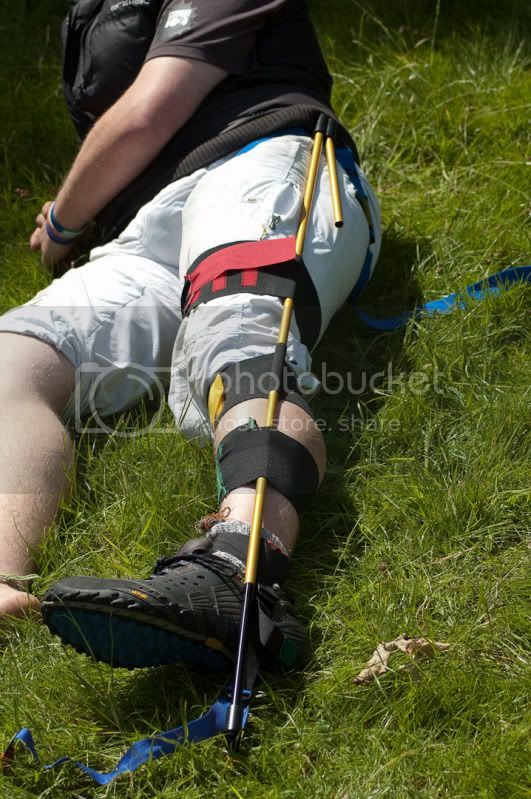 The strap supporting the hip allows access to other areas of trauma. It can be left in place without risking additional injury to the nerves and blood supply in the groin. Versatility - 4/5 - At first glance the KTD is a one trick pony. 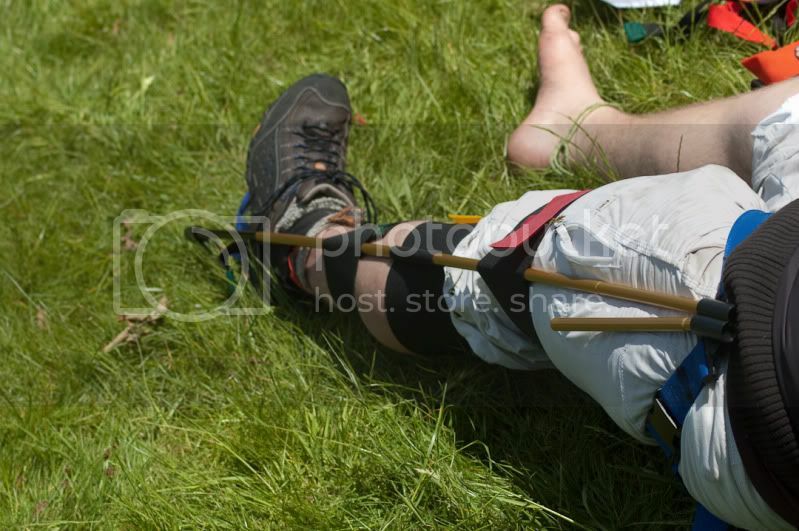 However with a little imagination it can be used to provide traction and splinting for a number of injuries. Durability - 4/5 - Good. During the test for the review our subject was able to provide a good traction within 5 minutes having never used a KTD before. Whilst I would not expect your average Bushcraft enthusiast or hill walker to be ordering one immediately. 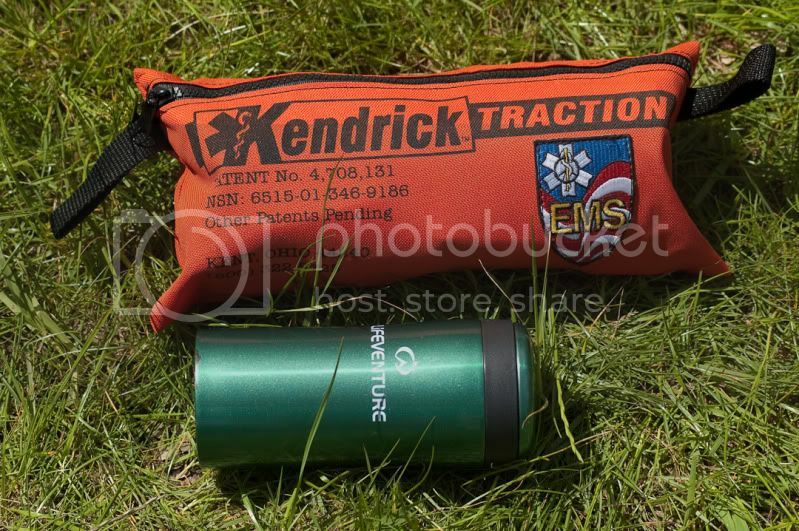 I think for those leading groups into the more remote locations around our isles and beyond then the addition of a KTD to the medical kit is probably a good investment. Its small pack size and weight means it is something that can be packed and forgotten about until needed.